The Dr. Henry Hitzrot House stands on a prominent corner of downtown McKeesport at 626 Market Street. 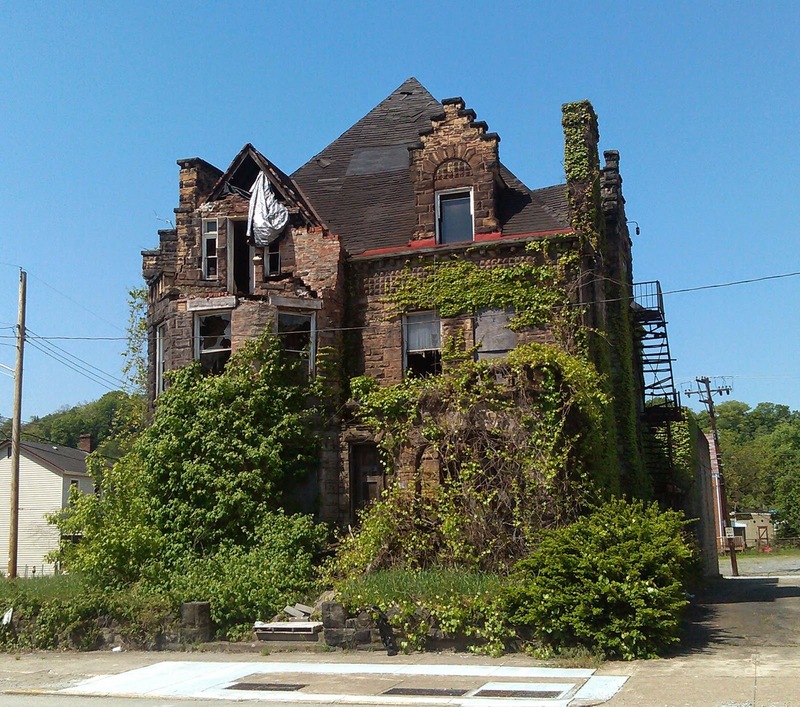 It is perhaps the most visible of the dozens of vacant Gilded Age mansions in the Mon Valley city. It was designed by noted Pittsburgh architect Frederick Sauer and built circa 1890. Frederick Sauer also designed the St. Stanislaus Kostka Church in the Strip District and the Latimer School ("School House Apartments") in Deutschtown, among many other local landmarks. The location of the Hitzrot House was once an affluent residential area adjacent to the downtown McKeesport business district. There are still a few old houses remaining in the vicinity that recall McKeesport's early Coal Era, Railroad, and Steel boom years. The Hitzrot House is one of the most endangered historic structures in our region. It has recently been acquired by the City of McKeesport and demolition may be pending. The building requires extensive renovations and is in desperate need of a developer.